Travelling Panama is (relatively) safe. 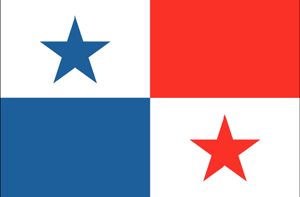 Panama is a country in North America (Central America) with around 4 million citizens and a land mass of 78,200 km². We detected travel advisories from 4 sources for this country. Panama shares land borders with Colombia and Costa Rica. For these countries, the individual warning index is 2.2 (Colombia) and 2.0 (Costa Rica). See danger map of the region. Exercise normal precautions in Panama. Some areas have increased risk. Read the entire Travel Advisory. Do not travel to: Parts of the Mosquito Gulf due to crime. Parts of the Darién Region due to crime. Read the Safety and Security section on the country information page. "Very beautiful plant !" uploaded by steff..
"Via España" uploaded by Cesar Paniamogan, Jr.
"Rasca cielos " uploaded by Tony Castillo. "Rasca cielos Ciudad Panamá " uploaded by Tony Castillo. "Iglesia Nuestra Señora del Carmen. Panama" uploaded by Tony Castillo.